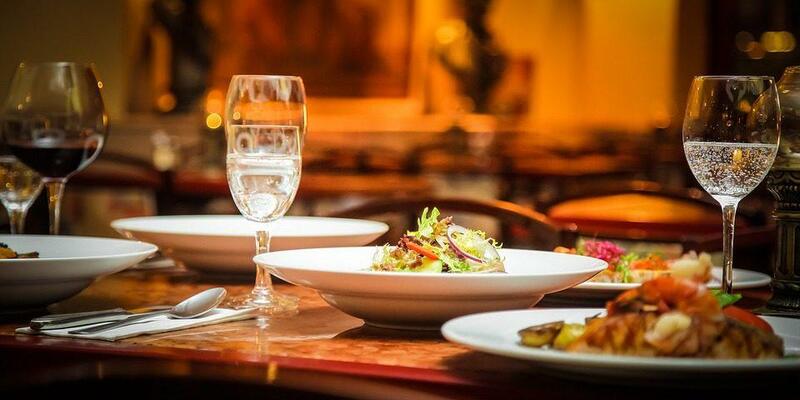 Are you being overcharged by your restaurant for food and drinks? You can figure that out now if you know how to decode the bill. GST, which came into effect on July 1, subsumes 17 indirect taxes and 22 cesses at different rates across different states. Your bill before this tax reform had 3 prominent entries. 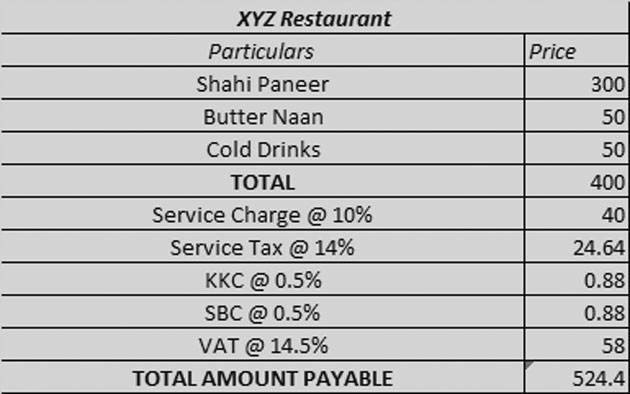 Note: The table above indicates GST rates applicable to supplies made by restaurants in different circumstances. However actual GST incidence will be lesser due to increased availability of input tax credit. *This limit is Rs 50 lakh for Assam, Arunachal Pradesh, Manipur, Meghalaya, Mizoram, Nagaland, Tripura, Sikkim and Himachal Pradesh. 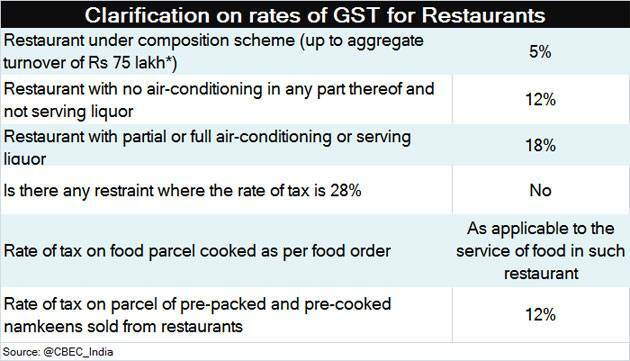 Keep in mind: No restaurant can charge GST at 28%. In fact, the tax department has asked restaurants, hotels and eateries to cut rates on food items to reflect the benefit of being able to set off tax paid on inputs under GST. Note: There is no GST on liquor or liquor products. 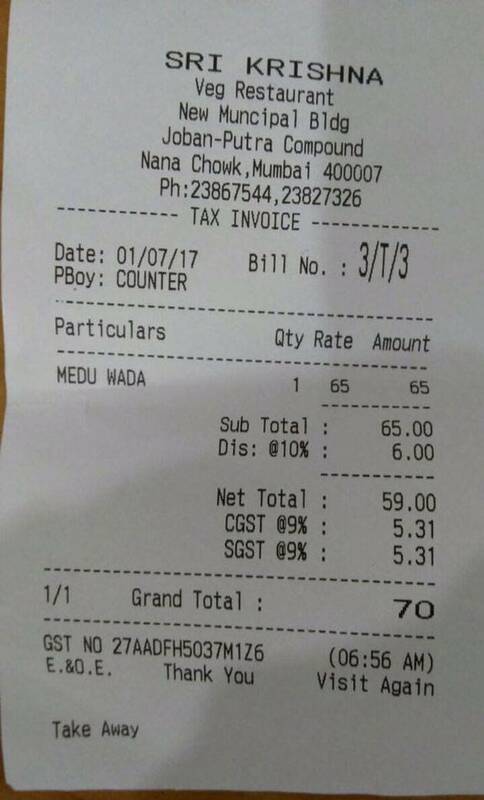 GST is levied on food bill in a restaurant. Liquor will attract VAT, and not GST. So, if you order liquor along with food in a restaurant, you will be charged GST on your food and VAT on the drink you have. The CBEC has further clarified that restaurant who have opted for composition scheme with an aggregate turnover of up to Rs 75 lakh will charge tax at the rate of 5% instead of 12 or 18%.